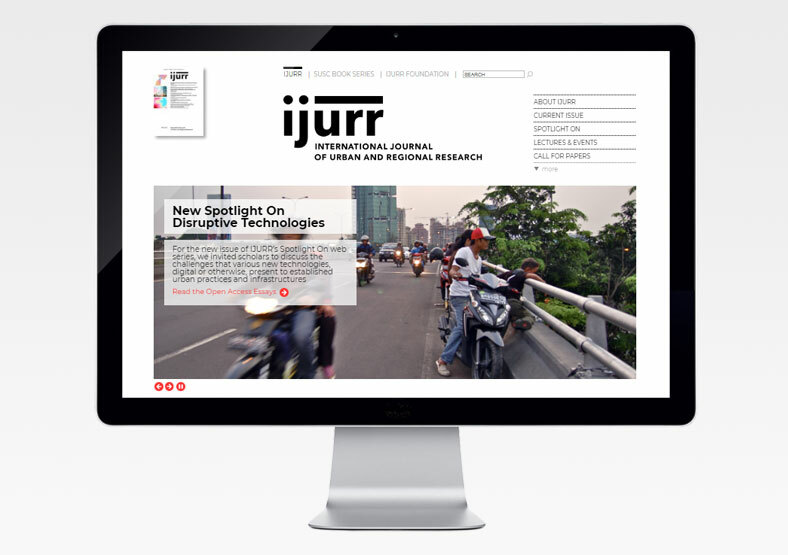 The International Journal of Urban and Regional Research (IJURR) has been at the cutting edge of critical urban scholarship since its foundation in 1977. The journal was recently re-launched with a fresh new design. 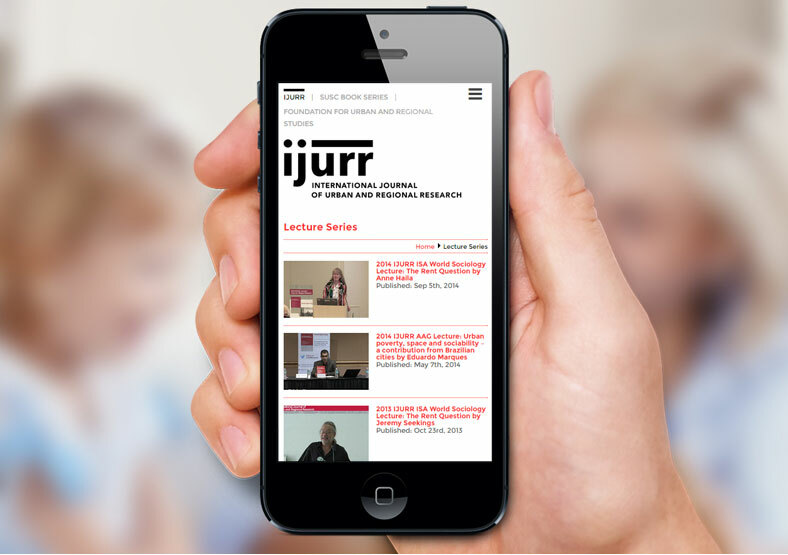 The goal of the re-brand was to connect with new audiences, and consolidate IJURR's position as the leading journal in their field. Part of the re-branding exercise involved a new website, which is where we came in. The brief was for a website with a CMS (Content Management System), enabling IJURR staff to manage the content after launch. We therefore developed the website using WordPress. 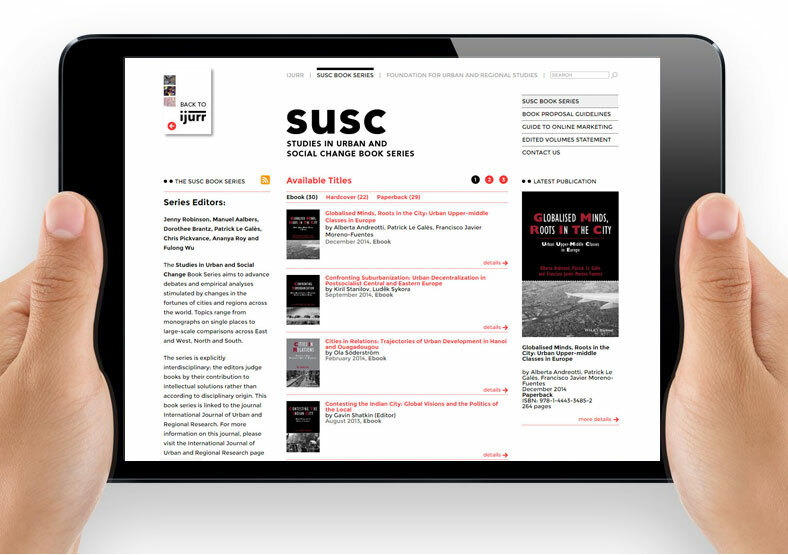 The new printed journal design is clean and contemporary with lots of white space, so the new website reflects this. The website holds a wealth of information - including over 2,500 articles - so our design uses simple navigation, making it easy for users to find information quickly. The latest news and articles are easily accessible, with clear signposts to subscription pages. The website was optimised for mobile devices with a strong focus on tablet presentation. It was built according to good SEO practices, and includes a facility for ongoing SEO as more content is added by the IJURR team.